The LPGA gets the jump on officially opening golf’s “majors season,” when it stages this week the first of the five tournaments considered major titles in women’s golf, the ANA Inspiration in Rancho Mirage, Calif. The tournament once known as the Dinah Shore will feature all of the current top 25 players in the world, according to the Rolex Rankings. It will also feature LPGA officials hoping for the smoothest ride possible, after the uproar across the sports world that ensued in deciding last year to tell then-leader Lexi Thompson during her Sunday round that she was being penalized four strokes for an infraction that occurred during her round on Saturday. Defending champ So Yeon Ryu, currently No. 3 in the world, will be back, as will world No. 2 Thompson, who lost to Ryu in a playoff a year ago. The winner of last week’s Kia Classic, Eun-Hee Ji, is also in the field, having climbed 16 spots in the world rankings with her win to her current status as No. 22 in the world. 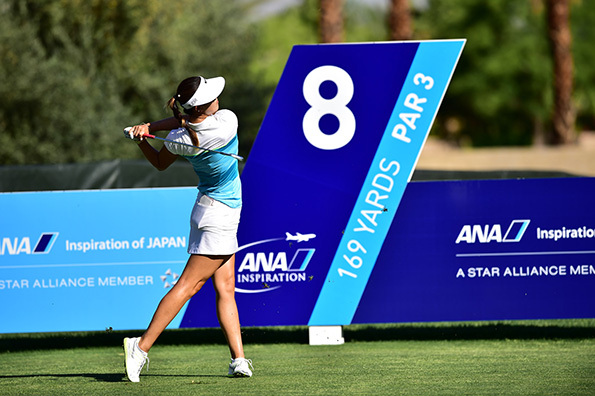 As we do each week, here’s a round up of information and historical data to be ready for the ANA Inspiration. Marquee Players: Ryu, Shanshan Feng, Lexi Thompson, Sung Hyun Park, I.K. Kim, Anna Nordqvist, Cristie Kerr, Ariya Jutanugarn, Inbee Park, Hye Jin Choi, Jessica Korda, Michelle Wie, Lydia Ko, and Stacy Lewis. 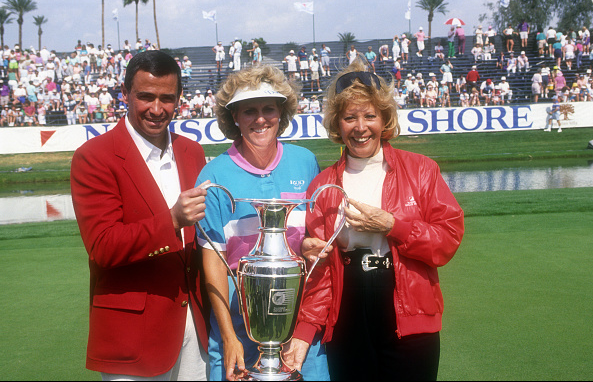 What was originally an event started in 1972 based around the popular entertainer and golf enthusiast Dinah Shore has grown through the years, becoming an LPGA major in 1983. Many of the biggest names in the history of women’s golf have been champions of the event through the years, including Annika Sorenstam, Betsy King and Amy Alcott — all three-time winners of the event — and, more recently, Stacy Lewis, Inbee Park, Lexi Thompson, Brittany Lincicome (twice), Lydia Ko and last year’s champ, So Yeon Ryu. The title sponsor is ANA, more formally known as All Nippon Airways. It is the largest airline in Japan, with more than 20,000 employees. So Yeon Ryu made a six-foot birdie putt on the first playoff hole to beat Lexi Thompson. That was undoubtedly the simplest moment of an otherwise twisted and tormenting final round. Even as Ryu won the second major of her career, the 2017 ANA Inspiration will be remembered by golf fans everywhere for what happened to Thompson — and also, for how she responded. Thompson took a two-stroke lead into the final round, and by her 11th hole of the day, the lead was up to three. A bogey on 12 cut it back to two strokes, and that’s when LPGA officials called her over to reveal that a TV viewer had e-mailed about a rules violation in improperly placing her ball on a green during Saturday’s round. The officials reviewed it, agreed that a violation had occurred and informed Thompson that she was being penalized four strokes — two for breaking the rule and another two for signing an incorrect scorecard. It was a ruling that ruffled golf fans around the world, even inspiring Tiger Woods to tweet encouragement to Thompson. Suddenly, her two-shot lead had become a two-shot deficit. Showing remarkable resilience, Thompson holed a 25-foot birdie putt on her next hole and then added another birdie on No. 15, which helped her briefly regain the lead. Playing well ahead, Ryu had birdied 18 to get to 14-under. Thompson needed a birdie to tie and an eagle to win on the par-5 18th, and as the crowd chanted her first name in trying to encourage her, Thompson’s 25-foot eagle try came up about a foot short. She made birdie and headed for the playoff. Ryu shot 69-68 on the weekend, while Thompson shot a 67 (which became a 71 after Sunday’s ruling) and then 67 on Sunday. Everybody’s going to be there, so this is literally one of those weeks where anything can happen. (Didn’t last year’s tournament prove that point?) If there’s one particular aspect that could separate the players, it’s that the length of the Dinah Shore Tournament Course at 6,763 yards has traditionally given an edge to big hitters. World No. 2 Lexi Thompson and world No. 32 Brittany Lincicome are former champions on the Dinah Shore course, and both are among the top 10 in longest driving average in the LPGA stats. World No. 8 Ariya Jutanugarn is another long hitter, and had a top 10 finish in last year’s event. With her win earlier this month at the HSBC Women’s World Championship, world No. 13 Michelle Wie is another player with the length to succeed this week. Both Jutanugarn and Wie also rank in the top 10 on the LPGA Tour in fewest putts per round this year. World No. 4 Sung Hyun Park currently leads the LPGA in driving average at just under 277.6 yards per drive, so she, too, could benefit from the course’s length. 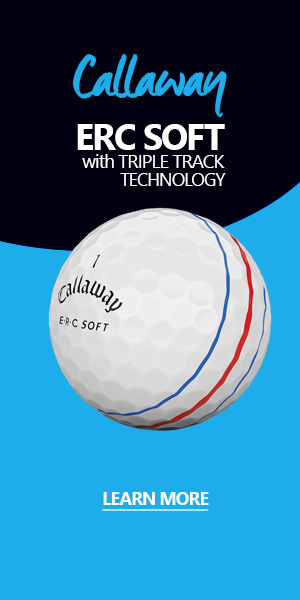 Of course, the record shows that shorter hitters like Lydia Ko and Inbee Park have been successful in claiming this championship in the recent past, as well, so it’s not a given that a big hitter will win. Cristie Kerr has risen four spots in the Rolex Rankings to No. 7 in the world after a tie for second at the Kia Classic, so she could be one to keep an eye on.